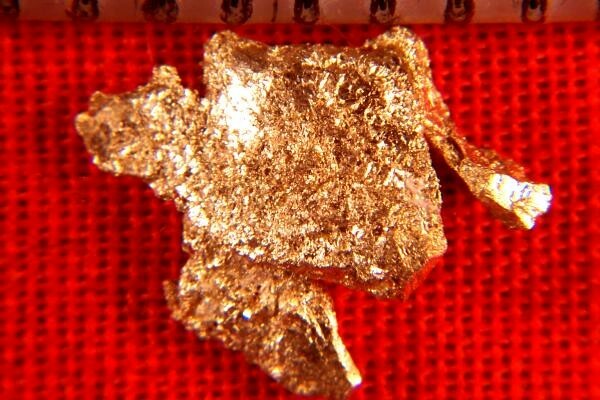 This is a super nice convoluted plate gold nugget from Round Mountain. 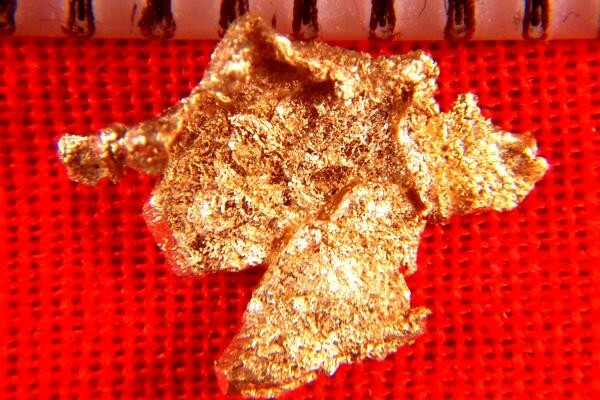 Plate gold is very thin and plate gold nuggets have a large surface area for the weight. This one is approximately 3/8" (9 mm) long, weighs 4.5 Grains (0.29 Gram). The color is gorgeous. It is a very pretty gold specimen.